Having access to the biggest range of promotional products Perth has to offer, we can create a superb “kit” of practical items that will help get your brand or message out to your target market. This is a perfect example of how to use promotional gifts well to achieve a goal. 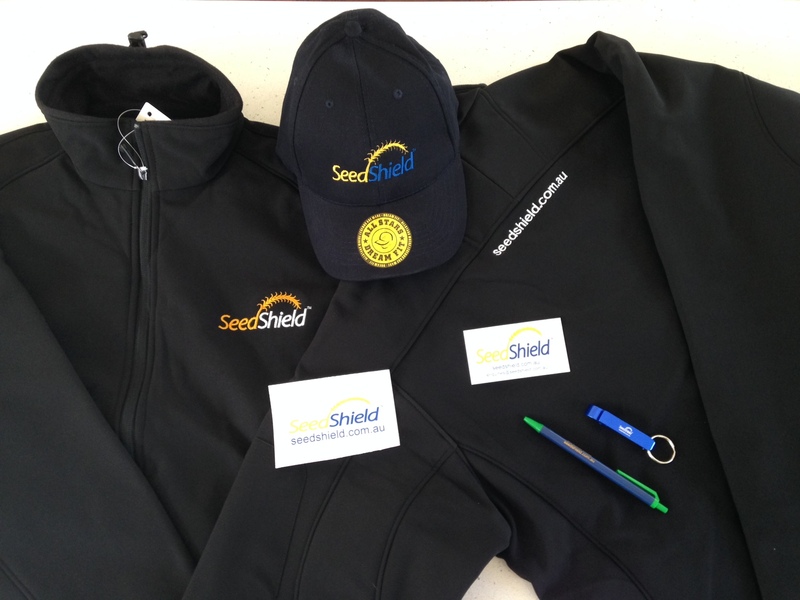 Seedshield came to us looking for a way to economically advertise their brand using a range of promotional items for Perth and WA. We suggested a range of corporate gifts that would achieve a good result. As a rule, it is advised to purchase larger volumes of the cheaper promotional products, and lesser amounts of the higher value items so the fridge magnets , the pens and the bottle openers we did in volume , but the higher cost promotional caps and promotional jackets , we produced in lesser qtys to enable a good balance of value and to meet the budget requirements. The client has re-ordered on several occasions as this method of using WA promotional products has really worked. Ask us now about how to build brand awareness with promotional items. Previous Previous Post: Journal Books – maintaining the art of writing and jotting!